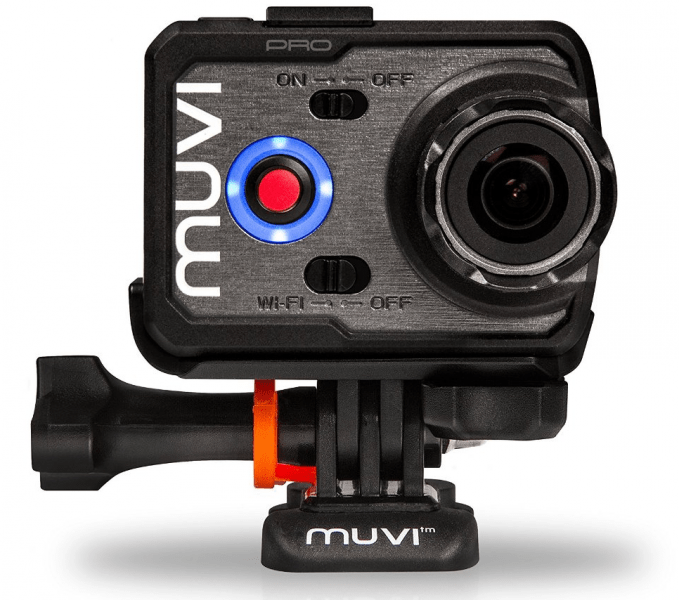 The Muvi K-Series K-2 Pro is a 4K action camera that is capable of taking 12MP still images and is WiFi enabled. It boasts of a powerful chipset, much improved than the chipsets used in other K-2 models. This action camera is capable of recording in full HD at 1080p at 60 frames per second and 720p at 120 frames per second. It also allows the user to take ultra HD 4K or 2.7 video without putting quality and clarity on the line. In terms of photo modes, it is capable of 12 MP photos in single shot. On top of this, it also has options for single shots, with burst shooting as well as allows for shooting time-lapse footages. The Muvi K-Series K-2 Pro from Veho comes in black and silver and is compact at 2 inches by 1-inch by 2.7 inches. It follows that it also is light in weight at 0.2 pounds. The sturdy-looking body looks classic and comes with a waterproof housing of up to 100 meters as well as a protective silicone case. The Veho VCC-007-K2PRO Muvi K-Series K-2 Pro also sports a built-in G-sensor. This feature makes it possible for the device to start recording when movement or motion is detected, thus, making the camera operational, hands-free. The action camera is also capable of DCI 4K video at 12 fps and UHD 4K at 15 fps. 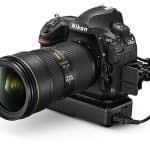 Its capability to record ultra high-definition videos, particularly at 720p at 120 frames per second allows the user to playback these videos in slow-motion. In terms of video capturing, the device can be connected to WiFi that allows the user to record hands-free, using G-sensor technology. The action camera is bundled with a touchscreen LCD, the Muvi K-Series Smart Touchscreen LCD that can be attached at the rear of the camera. 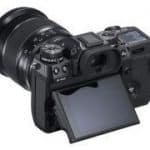 This allows the user to monitor and frame the shots, navigate the menu settings for parameters and changes as well as playback video footages. Moreover, it also works with mobile devices, such as iPhones, tablets and Android phones via WiFi connectivity to remotely control the camera. This also allows the user to share and transfer files to a variety of social media platforms. Additionally, it is powered by a 1500mAh lithium-ion battery and one full charging can lasts for 3 hours of recording time. Other features of the action camera include NTSC/PAL switchable in menu, 30 Mbps video bit rate, 100° wide-angle lens with several options, such as, Wide, Medium, Narrow, and Small angle of view, 180-degree image flip, loop recording and Date and Time Stamp. As for accessories, the package comes with curve and flat adhesive pads, lenprotector and tripod mounts. The Veho VCC-007-K2PRO Muvi K-Series K-2 Pro also comes with a protective carry case. The Veho VCC-007-K2PRO Muvi K-Series K-2 Pro comes with a detachable touchscreen LCD that makes the camera more flexible in terms of operation and handling. This makes it possible for the user to monitor videos as well as play back footages, among others. The package also comes with loads of accessories and the device has a protective case that keeps it secure even in transporting. Its case is also waterproof that makes it a perfect adventure action camera. 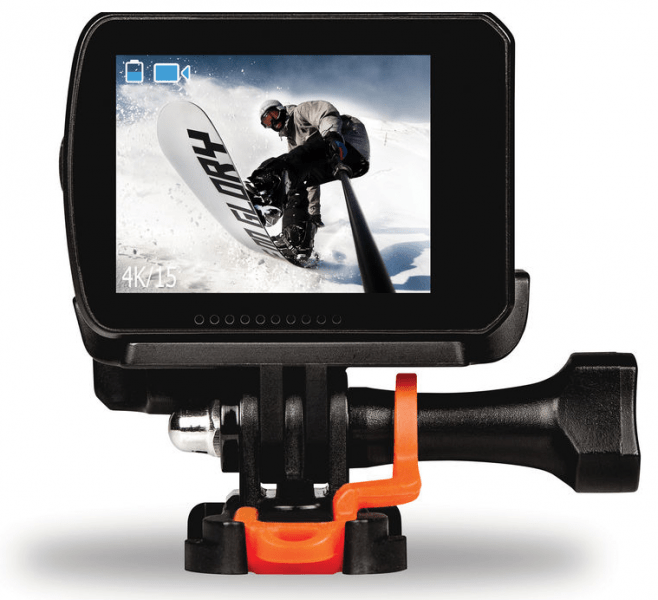 Another interesting and appealing feature is its 4K video recording capability. This allows for ultra high definition videos. Battery life is also great because it can last from three to five hours if power is on and recharging time only takes two hours. The WiFi and mobile app also makes it possible to remotely control the device and capture videos as well as monitor them in real time. 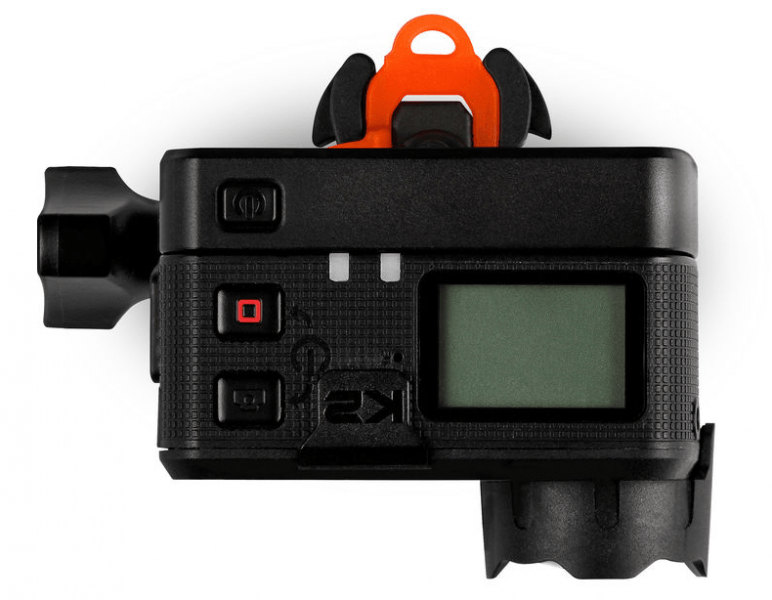 As for mounts, this action camera is also compatible with GoPro accessories. The price is also competitive, in terms of features and capabilities. Conversely, there are also some drawbacks in buyinh the VCC-007-K2PRO Muvi K-Series K-2 Pro. Although the detachable LCD is a good thing, it sometimes causes the memory card to be unreadable when about 40% is already used. Moreover, when used under water, the field of view settings cannot be altered. Other than the minor flaws, the Veho VCC-007-K2PRO Muvi K-Series K-2 Pro is better than its predecessor in terms of performance and features. This action camera captures clear videos in 4K and with all its features and the bundles that come with the package, including the waterproof housing and the rugged, hard shelled case, this 4K action camera is a great buy.